1. 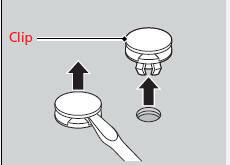 Turn the steering wheel all the way to the opposite side from the light being replaced. Passenger’s side: Turn the steering wheel to the left. 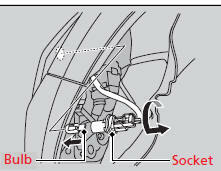 Driver’s side: Turn the steering wheel to the right. 2. 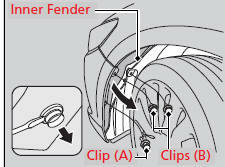 Remove the holding clips (A) and (B), pull the inner fender back. 3. 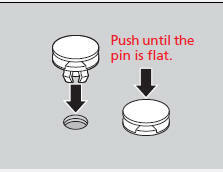 Turn the socket to the left and remove it, then remove the old bulb.